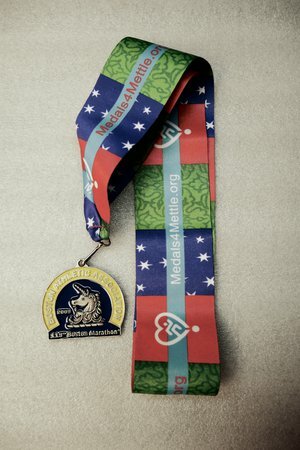 To request that a Medals4Mettle branded ribbon attached to a donated medal be given to a specific recipient, we ask for a $30 donation to help cover the administration time and distribution costs to facilitate this. Please note that this service is currently ONLY available for recipients who are located in the United States, and a few international locations listed on our Contacts page, however we are working hard to expand this to other areas so please check back frequently for updates. After you complete the form below you will be taken to a page where you can submit your donation via PayPal. Upon receipt of your donation, your request will be automatically entered into our system for processing. Please allow 2 -3 weeks to complete your request. If you are requesting a medal, enter your details below. If also requesting a medal for a particular individual, please enter their details below as well.